When Mandates Work  is a good resource guide for use in cities and airports located in primary urban markets. Most of the research centers on San Francisco, which likely applies to cities like Seattle, Portland and San Diego and their airports. The content of the book is drawn from individual journal articles written by several different authors, so the content varies dramatically from chapter to chapter. Part one of the book looks at living wage ordinances in cities and airports. Significant benefits are found in terms of reduced turnover rates and improved employee morale. For restaurants in one study, price increases of 2.8 percent occurred, which is remarkably similar to estimates on anticipated cost increases derived using MIT’s living wage models. As an aside, I am confounded that there is not bi-partisan support for living wages at fast food restaurants across the country. Why any fiscal conservative would not want the fast food industry to stand on its own, and stop using federal subsidies to bolster worker’s living standards, is incomprehensible. Every fiscal hawk should be wagging their finger at Ronald McDonald to get off the public dole! Part 2 covers health care benefits and Part 3 provides execution strategies – including the use of Community Benefit Agreements (CBAs). Anyone looking at CBA’s for their city should take a close look at the CBA negotiated with Twitter in San Francisco. The hearings on this document are readily available on-line in City archives. Twitter clobbered the City in negotiations. Adding insult to injury, the primary beneficiary of Twitter’s move to the City’s central business district (building owners) did not participate at all in the CBA. If you are on a budget, review the table of contents and search for the individual journal articles that comprise this book which are relevant to your situation, and download those individually (most libraries provide patrons with access to JSTOR – the primary database for academic journal articles). Michael Reich, Ken Jacobs, and Miranda Dietz, eds., When Mandates Work: Raising Labor Standards at the Local Level (University of California Press, 2014). McDonald’s has in the past directed employees to federal assistance programs through their employee hotline. President Jimmy Carter signs Humphrey-Hawkins. Economist William A. Darity has proposed a federal job guarantee with decent wages for all job seekers, an idea with deep, but largely forgotten, roots in US history. The article briefly explores some New Deal job-creation efforts and President Franklin Roosevelt’s proposal for an Economic Bill of Rights. It then focuses on two major attempts to secure full employment through legislation. 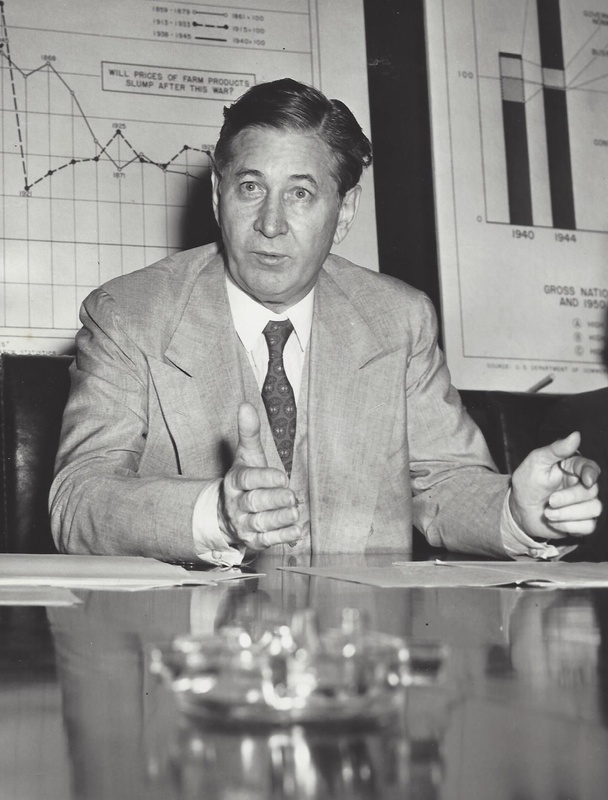 The Full Employment Bill of 1945 was defeated; the compromise, the Employment Act of 1946 did not have full employment as its goal. 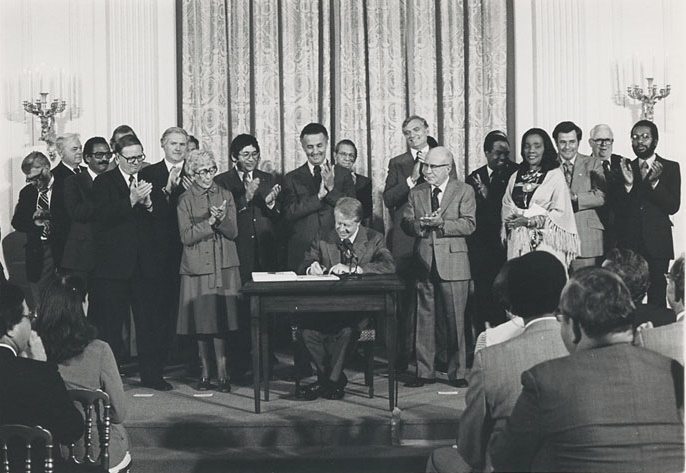 After years of struggle, a much-weakened Humphrey-Hawkins Full Employment and Balanced Growth Act of 1978 passed, but then was violated and virtually ignored. Full employment shifts power from capital to labor, so major opposition can be expected from efforts to obtain it. Proponents need more power and a strong movement, including at the grassroots level, pushing for jobs for all–not just jobs for me or my group. Publicizing the benefits of past job programs and reintroducing the idea of a decent-paying job as a right are suggested, as well as making decent jobs for all the center of economic policy. This requires a fundamental break with neoliberalism and reallocating political power away from big business and Wall Street toward middle and working-class people and the working- and non-working poor. “There is something wrong with the distribution of income in our economy. Not enough of the income created by production gets into the hands of those that will spend it back into production. The end of World War II placed employment at the top of the national agenda. Seasoned lawmakers and experienced public officials had lived through the burst of an employment bubble after WWI, twenty-five years early, and the Great Depression that followed. Senators Harry Truman (D-MO) and Senator James E. Murray (D-MT) presided over a Senate subcommittee focused on the first point, to provide employment opportunities for all Americans. When Truman left the Senate for the Vice Presidency, the responsibility for shaping legislation fell to Murray. In 1945, Murray, Chairman of the Senate Committee on Education and Labor, drafted Senate Bill 380, the “Full Employment Act of 1945” and found bi-partisan co-sponsors in Senators Wagner (D-NY), Thomas (D-UT), O’Mahoney (D-WY), Morse (R-OR), Tobey (R-NH), Aiken (R-VT), and Langer (R-ND). During the subsequent debates of S. 380, the bill was watered-down, the Economic Budget was dropped, as was “Full” from the title. The Employment Act of 1946, adopted and signed into law, created policy objectives similar to those outlined in F.D.R.’s Second Bill of Rights, but it fell short in focusing Congressional attention on the economy and unemployment. An annual Economic Budget is a concept worth revisiting. It could pull the nation’s most important issue off the campaign trail and put it back into halls of Congress where it belongs. It would serve as a central point to discuss living wages, work-visas, public service employment and corporate out-sourcing. James E. Murray, “A Practical Approach,” The American Political Science Review 39, no. 6 (December 1945): 1119–26.